Home › Blog News Hospitality › The impact of Marriott + Starwood loyalty program reciprocate benefits after the merge. Hotels are getting more people to join their loyalty programs than ever before. Now they just need to raise their engagement levels to keep them coming back — booking direct, as they’d prefer, thus and in 2016 hotel chains have thrown significant efforts behind revamping their loyalty strategies with two main goals in mind: increase the size of membership and steal share of bookings from third-party providers. It comes to an end after long time when the experts had been suggesting for years and happened during the first three quarters of 2016 when hotel brands began implementing a strategy fenced rates for loyalty members that require log-in and therefore meet parity requirements. Marriott was first with its “It Pays to Book Direct” campaign, Hilton followed with “Stop Clicking Around,” and since, most of the major brands have introduced some type of instant room rate discount for loyalty members. Although 2016 yet doesn’t show any statistics regarding the increase of loyalty members for any of the hotel chains, but in 2015 major hotel chains saw their numbers of loyalty program members increase an estimated 13.1 percent to more than 344 million members compared with 2014. Comes on top InterContinental Hotels Group’s IHG Rewards Club as the world’s largest hotel loyalty program with more than 92 million members as of December 31, 2015. Marriott International’s Marriott Rewards and Starwood Hotels and Resorts’ Starwood Preferred Guest programs l eventually combine following completion, and the total membership of that new program would be around 75 million. Marriott comes with 54 million, with 10 % increase on members in 2015 vs 2014 and continue growing more and more, even those members shore with more than 50 % of the total room night for Marriott globally, although Starwood comes with 21 million members with 50 % share of room nights, but there is no clear information about the % of increase YOY. IHG Rewards Club 100 Million members , Marriott + Starwood 82 Million, Hilton HHonors 56 Million, Wyndham Rewards 50 Million, Choice Privileges 27 Million, Best Western Rewards 27 Million, and Hyatt Gold Passport 22 Million members . Before the merge, Starwood points are worth roughly $22.68 per 1,000 points, according to data from travel insights company Wanderbat—one of the highest redemption rates around. 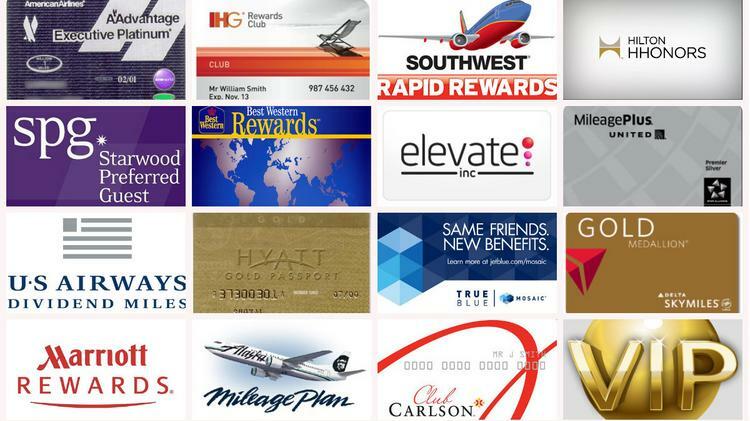 Couple that with a massive hotel portfolio, and the ability to transfer points to more than two dozen airlines, and its clear why SPG was a top contender in the loyalty game. Marriott’s point valuation pales by comparison, at $8.92 per 1,000 points, according to Wanderbat. Still, the high concentration of affordable brands in the Marriott portfolio means that members need only spend an average of roughly $2,000 to get a free night, compared to nearly $7,000 for Starwood. The bottom line? Your Starwood points will almost surely decrease in value, but these are two of the most popular loyalty programs around—and neither has blackout dates on bookings for standard rooms. In all likelihood, there will be more tiers for redemption down the line, given the stratification of brands in the merged portfolio, and members will have to keep an eye on whether all premium properties will participate in the program. Changes probably won’t come for at least another year, so cash in while you can. All comes to and happy end on Friday September 23, 2016 Marriott International and Starwood Hotels and Resorts officially merged into one company, and the new Marriott company has already made its first major decision: to give reciprocal benefits to members of each of the three loyalty program. According to Arne Sorenson Marriott CEO The three programs (Marriott Rewards, Ritz-Carlton Rewards or Starwood Preferred Guest account (SPG) , will remain separate with members earning, redeeming while Marriott works on technology and product enhancements, and for the time being members will be able to link their accounts at Members.marriott.com to begin earning and redeeming points at all those hotels. Members of both Marriott Rewards, which include The Ritz-Carlton frequent guests, and SPG will have their status matched and Points Transfer. If they link their accounts, they will be able to transfer and redeem points at a three-to-one ratio. ThreeMarriott Rewards points will equal one SPG Starpoint. That will apply to redemption stays and the Marriott Rewards Experiences Marketplace and SPG’s Moments platform. The merger of Marriott and Starwood will be more than double the company’s presence in such lucrative regions as Asia, the Middle East and Africa. The alliance is the biggest hotel merger in years, but it is not the only one. InterContinental Hotels group acquired boutique chain Kimpton Hotels and Restaurants last year. AccorHotels purchased the Fairmont, Raffles, and Swissôtel brands this year. Destination Hotels and Commune Hotels have merged. The good news, according to media reports and many independent analysts, 2018 or later will be the earliest we might see substantive and major changes to the loyalty programs.